Many pop fans only caught on to The Bee Gees in 1967 (usually seen as the year of The Bee Gees) though by 1966, they already had now-considered classics Spicks And Specks and I Can't See Nobody. Over the next two years, they would become fan favourites with songs such as New York Mining Disaster, To Love Somebody, Massachusetts, World, Words, I've Gotta Get A Message To You and I Started A Joke. "The tension between Barry and Robin came to a head early in  over the first single from the Odessa album. It was almost set to be a song featuring Robin's Lamplight, but Robert Stigwood [who also had a starring role in the rise and demise of Blind Faith] preferred to feature Barry singing First Of May. Stigwood had long had a theory that well-dressed handsome young men sold records. Even though Stigwood said that the song Odessa is one of his favorite Bee Gees tracks, Robin felt more and more that his songs could not get proper attention within the confines of the group. He had worked all his life with Barry. No doubt he wondered what he could do on his own. "On March 19, Robin announced that he would make solo recordings. For a short time some uncertainty remained as to whether he would also work with the Bee Gees. Robin recorded a few songs, and so did Barry and Maurice, and then when Robin made it clear that he was out for good, lawsuits over Robin's contractual obligations to the Bee Gees stopped him recording at all until September. "In December, Barry and Maurice announced that they had split, ending the Bee Gees. Maurice, already working with his brother-in-law Billy Lawrie and friends on outside projects, quickly began to record songs for a solo album. "At the start of 1970, the Bee Gees did not exist. The two Gibb brothers albums recorded in 1969 were released early in the year, one by Barry and Maurice as the Bee Gees, the other by Robin. For the former, Barry and Maurice made some publicity appearances together. But at the same time, all three brothers were working separately on new albums. Except for one single each by Maurice and Barry, nothing of the three albums was released." Robin had already released Robin's Reign and the follow-up album, Sing Slowly Sisters, remains unreleased to this day. Barry began recording a solo album in February 1970, after spending a couple of months writing. Only the single, I'll Kiss Your Memory, was released. 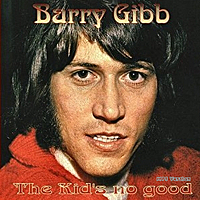 The Kid's No Good is long seen as Barry's 1970 unreleased album. The sound throughout this recording, said to be taken from the original tapes, is excellent as Barry continues with the songwriting and singing style he had already made popular with The Bee Gees. While there are hints of Gene Pitney and even echoes of Love Letters In The Sand in the songs, this is STILL a very enjoyable set of songs today. This is the Barry before the falsetto and disco took over; where he is equally at home behind some lush strings or just on the acoustic guitar. Some standout tracks include One Bad Thing (a jaunty number that gets your feet tapping in no time); The Day Your Eyes Meet Mine (a ballad that makes a great drive-time track) and Victim (discofy this and it would easily sit next to Too Much Heaven). It's likely the tracks King Kathy, I Can Bring Love and Summer Ends were taken from the special Barry Gibb Fan Club Christmas disc that is now a rare collector's item. 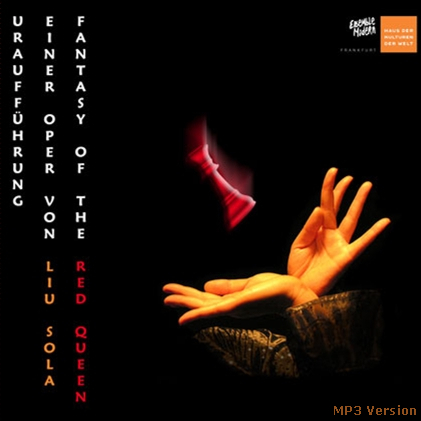 The tracks were recorded in October 1971. I Can Bring Love was eventually recorded for To Whom It May Concern (1972), which has strings on it, unlike the acoustic version here but this version has one extra verse. Note: Kindly email us at mybigo@bigozine.com if you encounter problems downloading the files. I'll Kiss Your Memory [Released as a single in 1970. Found on Tales From The Brothers Gibb (1990). *Possibly taken from Barry Gibb Fan club EP - 1971. Click here to order Bee Gees albums.